Driving down the road no 786 from Kielce towards Łopuszno, in Górki Szczukowskie you must turn right towards Podzamcze Piekoszowskie. Driving through the village down the main road all the way long, you will spot the palace on the right side of the road. 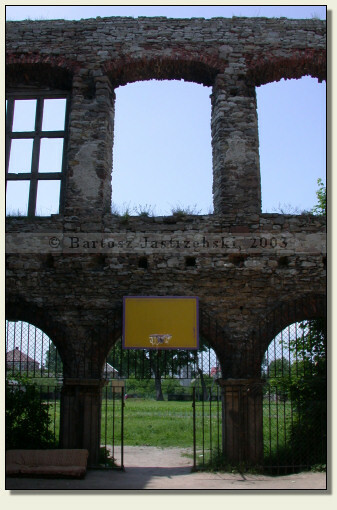 The palace in Piekoszów was built in the years of 1645-50 by the province governor of Sandomierz, Jan Aleksander Tarło. 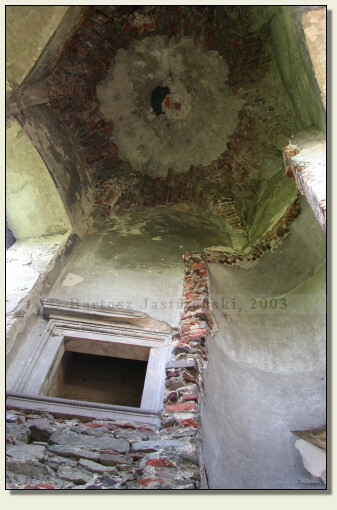 It is allegedly the copy of the palace of Kielce, and its construction was supposed to cost 30 villages. The mansion was under the rule of the family of the Tarłowies till 1842, and then was changing its hands on several occasions. 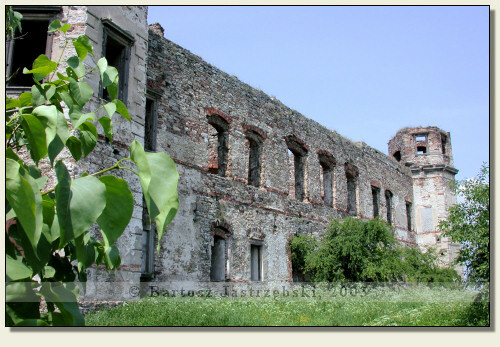 After the fire in the middle of the XIXth cent. 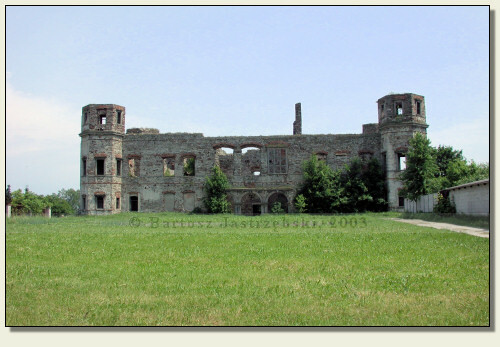 the palace changed into the ruin, which remains till today.